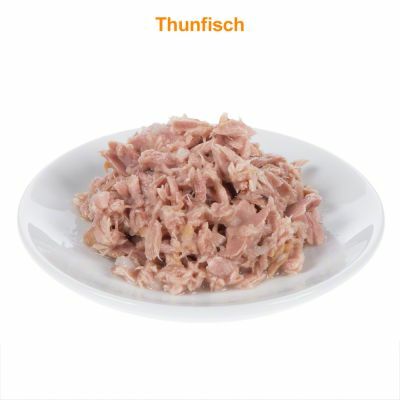 Real meat, really rare enough! :"Looks like real meat and the tins are packed with meat rather than jelly or gravy. My cats adore it and so I've bought more. 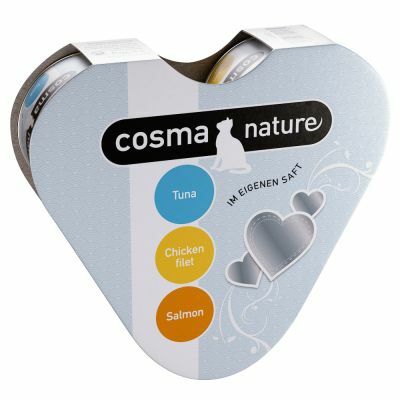 2 fussy and 1 who will eat anything. 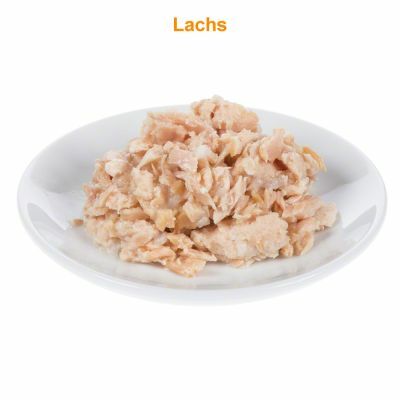 It has changed the 2 fussy cats diets." 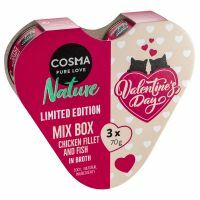 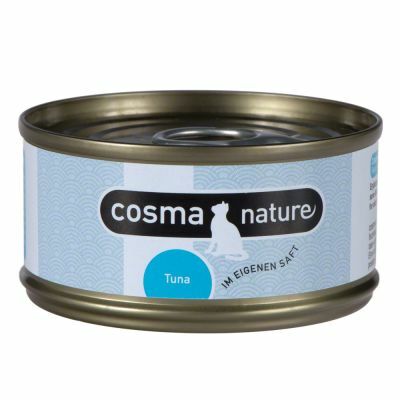 Cosma Nature is a supplementary natural cat food with a 75% meat or fish content. 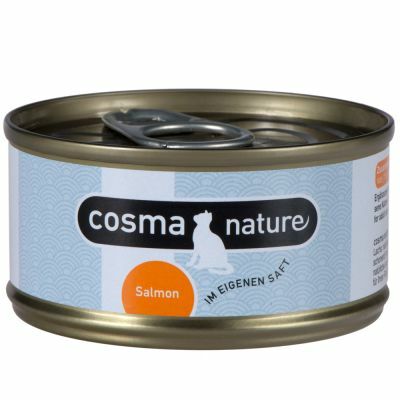 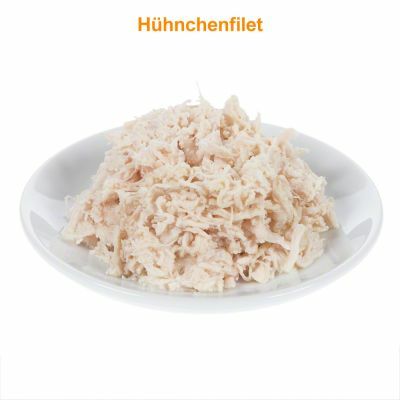 A variety of flavours such as delicious tuna, tender chicken and exquisite salmon keep your cat's food bowl exciting. 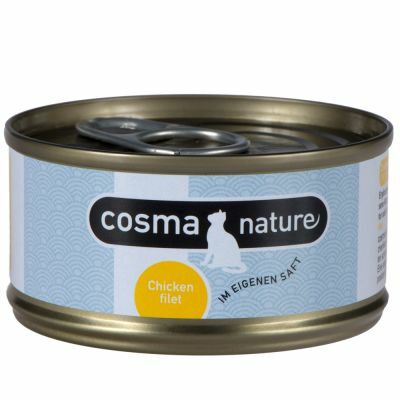 All ingredients are cooked gently in their own juices, giving your cat a healthy, authentic taste experience with every meal. 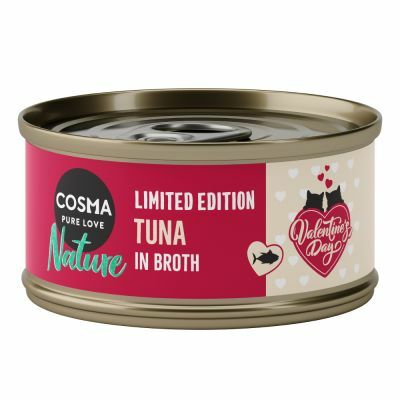 This limited edition is available only while stocks last so give it a try now to ensure you don't miss out!